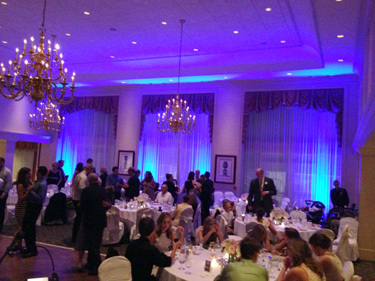 Uplighting can Upscale any Wedding! 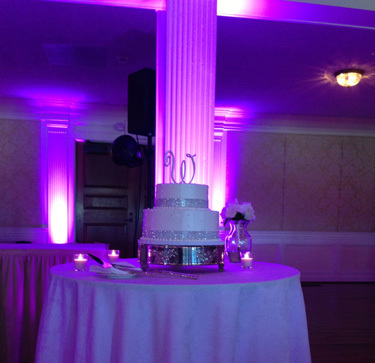 Enjoy Up Lighting packages from A Pittsburgh Wedding DJ for your classic wedding day! 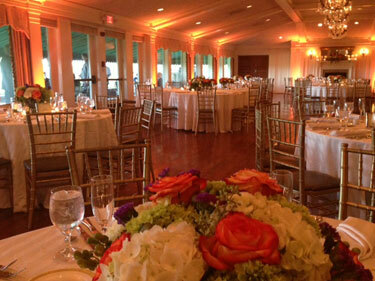 Give your reception the WOW factor when guests walk into your ballroom. 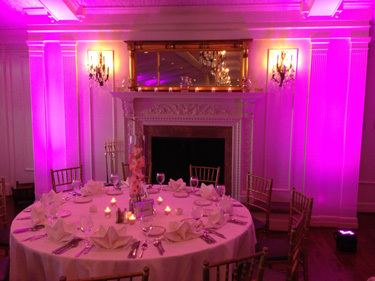 Creatively placed LED UpLighting is the final touch to any ballroom. Unlimited Color. High Intensity CHAUVET LED exclusive "Color Match" enables unlimited choices of color. Wireless Technology. 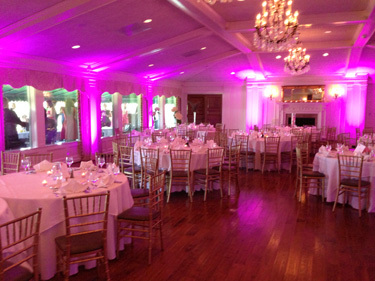 UpLighting for ALL PRO USA is completely wireless and may be placed anywhere without concern of electrical outlets. Packaged with Other Services. 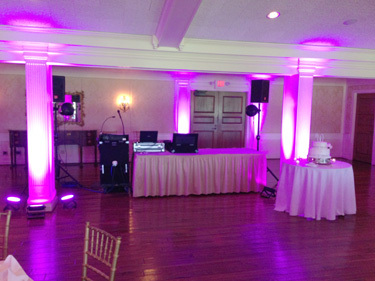 UpLighting may be added to any of our our DJ, PhotoBooth, or VIDEO Packages. 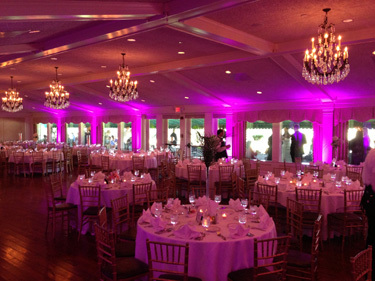 Wireless DMX Control of LED Lights enables color to be changed at anytime as your reception evolves from dinner to dancing. UpLight Packages may include eight, twelve, or sixteen LEDs depending on the size of your venue.